Colombia's kit for the 1990 World Cup served as the primary inspiration for the latest edition that will be worn by James Rodriguez & Co. as they strive for glory in Russia. One of Adidas' batch, the home kit is yellow with red and blue diagonal lines featuring at the sides. The famous three stripes are on the shoulders, but they are navy instead of red. 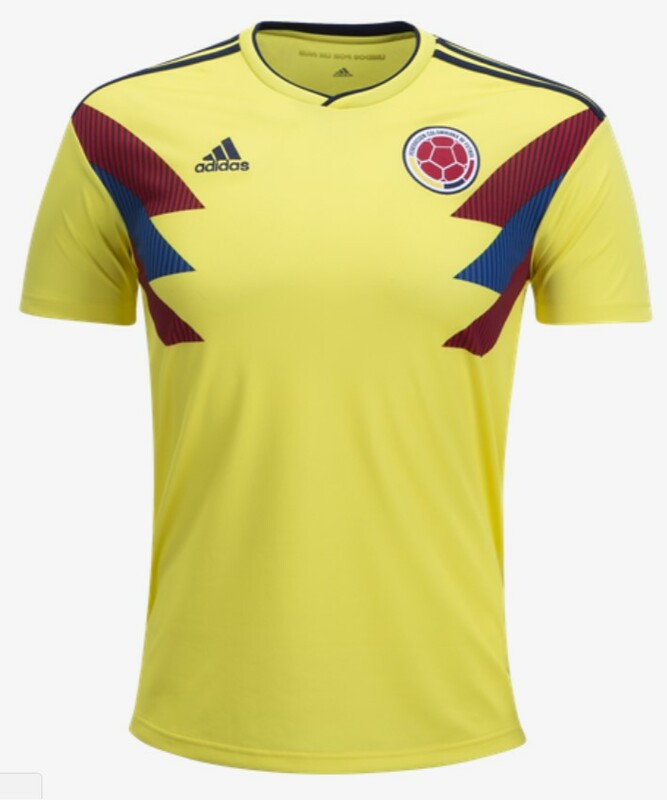 Colombia's second strip is a bold blue and solar red combination, which contrasts strongly with the bright yellow home jersey. and like previous shirts, contains the words “Unidos Por Un Pais” ("United for a country") on the back below the collar.